We have recently brought aboard a handful of incredible new Spanish wines into our portfolio. As we explained in a previous post, Spain is a perfect storm of opportunity for wineries to produce amazing value wines perfectly fitted for today’s consumer demands. 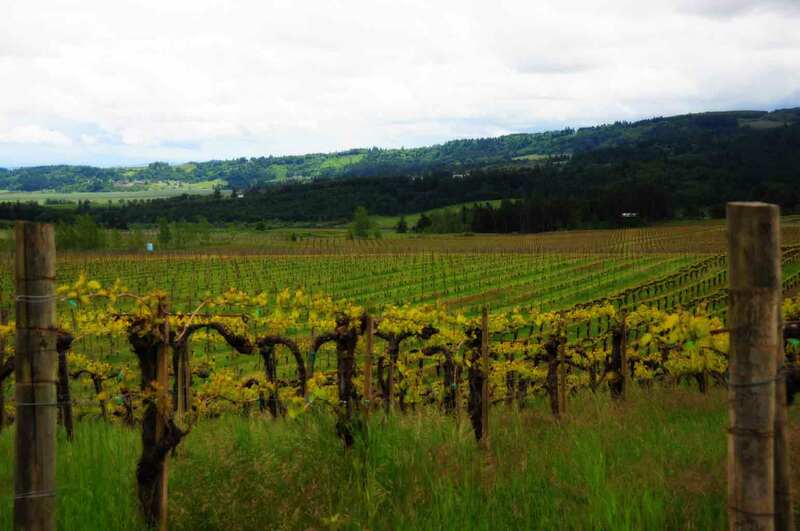 The Viña Eguia winery and vineyards were established in 1973 in Elciego and purchased by Father and Son, Jose and Julian Murua of Bodegas Muriel in 2010. Elciego is a town in the Rioja Alavesa, which borders the Spanish “Basque” region, and the language spoken there often includes Basque words, such as “Eguia” which means “truth.” The brand is symbolized by an open hand over the label, which is in the shape of an open book, analogous to putting one’s hand on a bible to swear to the truth of what one is saying. These wines represent some of the top values we’ve tasted in classically styled Rioja, showing elements of detail and refinement rarely experienced at this price point (under $20 retail). The 2008 Vina Eguia Crianza is aged in American oak for 12 months. The nose demands coaxing from the glass, but it eventually offers a crisp, natural bouquet of dark berries, burnt toast and singed leather. The palate is very well-balanced, with lithe tannins that caress the mouth. The oak is seamlessly integrated towards the lingering, supple finish. This is a very well-crafted, natural Rioja. Drink now-2018. 91 points. 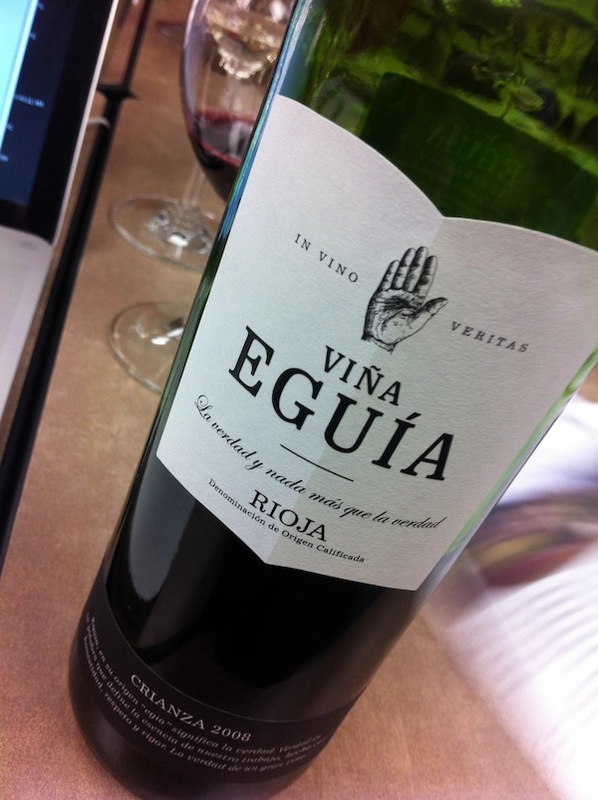 The 2007 Vina Eguia Reserva is picked from 30-year-old vines in Alavesa and sees 24 months in American oak. It has an attractive, very aromatic bouquet with dried herbs, leather, fennel and a touch of peppermint that is natural and very pure. The palate is very well-balanced with supple tannins, crisp acidity and a refined, mocha-tinged finish that is focused and persistent. 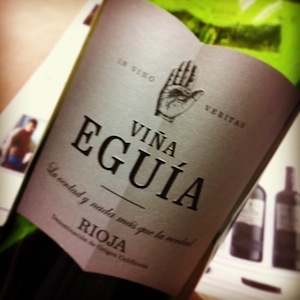 This is another superbly crafted Rioja from Eguia. The Vina Eguia Crianza Rioja can be found at the following Minnesota retailers. Accounts are listed alphabetically by city. Please call ahead to confirm availability. The Vina Eguia Crianza Reserva can be found at the following Minnesota retailers. Accounts are listed alphabetically by city. Please call ahead to confirm availability.